The new initiative will expand the offering of US equities in the UK to a substantially larger client base. 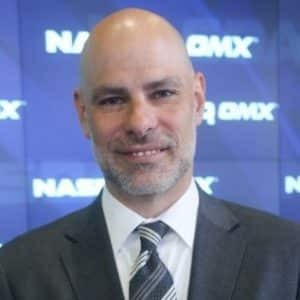 The scope of US equities is about to get even larger in the UK with Nasdaq (Nasdaq:NDAQ) feeds becoming available from Equinix’s London International Business Exchange (IBX) LD4. By linking into one of Equinix’s marquee data hubs, Nasdaq has opted to bring US equities capabilities to an even larger transatlantic audience. Located in Slough, UK, Equinix’s LD4 data center is one of the most advanced and utilized hubs globally. Per the new initiative, the markets operator will now be offering Nasdaq TotalView and Nasdaq Basic via LD4. Nasdaq Basic aggregates Nasdaq Best Bid and Offer (QBBO) with other offerings, such as Nasdaq Last Sale (NLS), or Nasdaq Last Sale Plus (NLS Plus). The move is a key stroke to bring additional UK clients into the fold, as the demand for US equities continues to rise globally. Helped by a weakened USD, markets have risen to recent all-time highs in the US, outperforming other global markets in 2017. By linking into LD4, Nasdaq will also be able to facilitate a new Point of Presence (PoP) that will be critical in supporting firms’ direct access to US market data from the source. Furthermore, Nasdaq’s connectivity out of LD4 will also enable the provision of core and future US market data products. This is important as firms will be able to have better access to US equity data directly tapped into their respective base of operations. Firms already possessing existing connectivity to Nasdaq’s LD4 will also be able to take advantage of reduced costs. “The financial services ecosystem in London and New York are at the heart of global trading. By providing additional market data to the London-based community via Equinix’s LD4 data center, Nasdaq is providing participants with the richest information available to ensure increased business performance,” explained John Knuff, General Manager, Financial Services, Equinix.